I have a fun bundle of products to share with you this week. 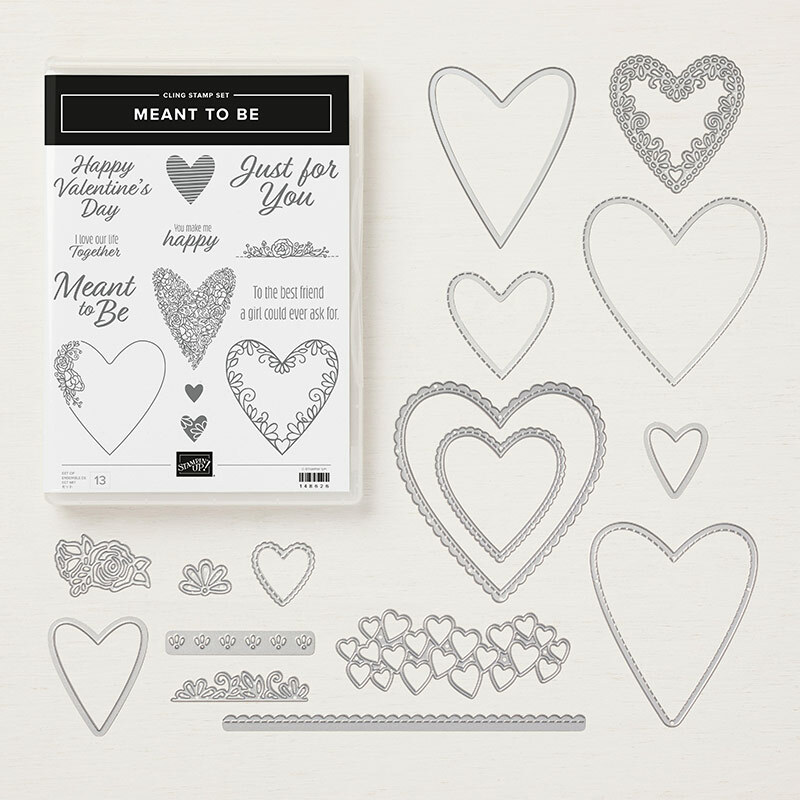 It is called the Meant To Be Bundle and includes the “Meant To Be” stamp set along with the “Be Mine Stitched Framelits Dies. When buying these two items together using item # 150587 you will automatically get a 10% discount. For my first project I have used the stunning “Lace Dynamic Textured Impressions Embossing Folder”. You will see it a couple times this week and I guarantee you will want to add it to your wish list. 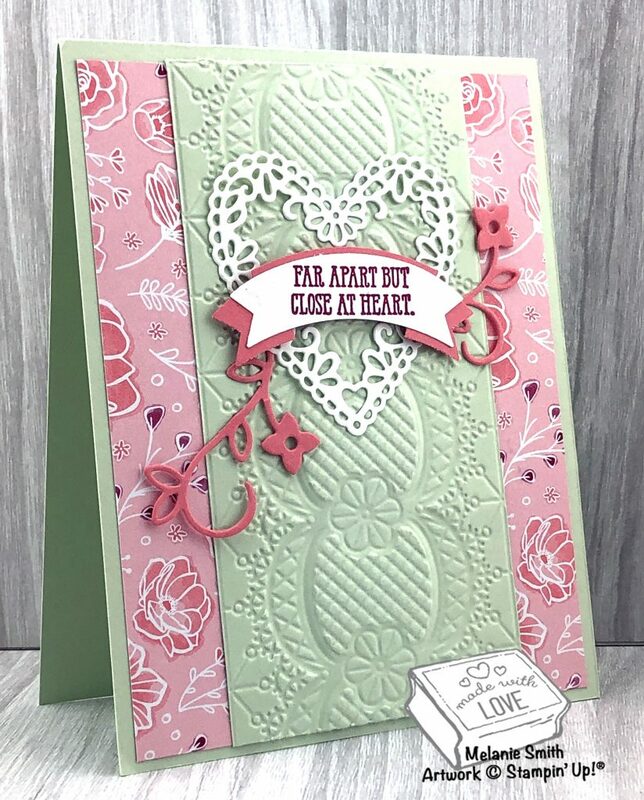 I have also used the “All My Love Designer Series Paper” #148576 and for the banner sentiment I pulled out the “Duet Banner Punch” #141483 from the Annual catalog and used the “Well Said Bundle” #150609 for both the sentiment itself along with the flourish die used here. Check back each day for fresh new samples using the Meant To Be bundle!